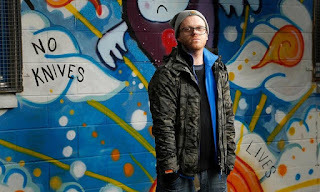 Our latest podcast interview is with legendary Glasgow emcee Loki. In our usually conversational style, we delve into Loki's rap past and follow through into his future. We talk about how he first got into music, The Being, Toy Control, the multiple youth groups he has led or been apart of and older works in his discography. Please enjoy. It's a long 'un, but feel free to pause and come back again. Sorry for the audio difficulties ahead of time, it was the best we could do.